In the previous article we considered the value of trending pump, well and field data for better performance. 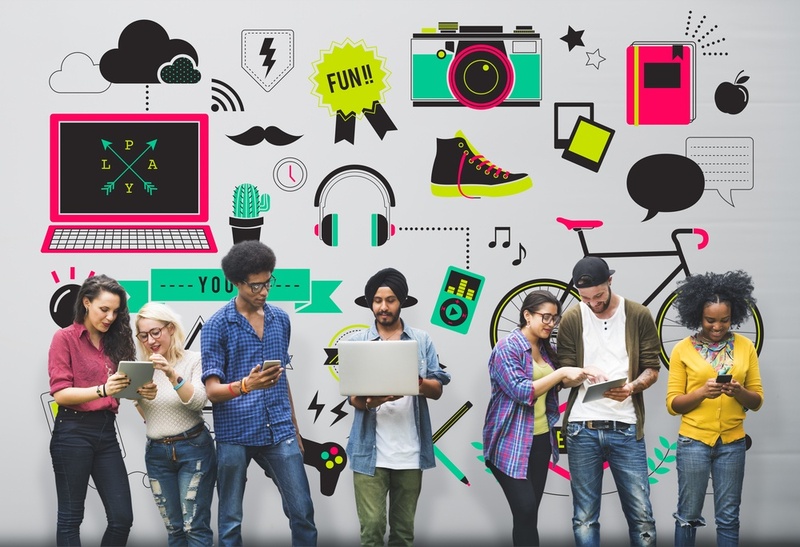 Ready or not, Gen Z is rapidly entering the workforce and replacing the old guard. These young tech savvy workers are part of the great shift change in the oil field. Automation will play a critical role in both bridging the knowledge gap and capturing the interest of the new generation. Gen Z workers, born since 1994, have never known a time without the Internet and mobile devices. Theirs is a digital world and they expect their work to be digital as well. This fits nicely with the progression toward the digital oilfield and pushes automation providers to continue innovating and modernizing. Gen Z workers want greater flexibility in their work lives and are willing to work odd hours and off hours in exchange for that flexibility. These workers often also have a blend of specialized and general skills, making them more flexible in their work. All of these traits fit nicely into the vision of the digital oilfield, where well performance is visible 24/7 from anywhere. Remote monitoring and control systems will allow these workers to prioritize wells for routine inspection and optimize the overall field. Gen Z has the potential to help producers through the great shift change. Their penchant for all things digital will support the drive toward automation and will push automation providers to stay modern in their applications and data display. They will be thoroughly comfortable with checking wells from home, setting priorities for on-site visits and receiving alerts on their device of choice. The value of digital notes will be obvious to them. Optimize wells using automated pump systems. These systems vary pump speed based on operating conditions and pre-set parameters. There is an immediate efficiency gain from this both from the perspective of the pump and the pumper. Under normal conditions, the variable speed drive (VSD) system will control the well without human intervention. When conditions are outside the baseline parameters, the drive system will alert the pumper for intervention. Enable remote access to well data. Well sensors and automated pump systems are being connected to the Internet via SCADA. Management systems make the data available and meaningful. Pumpers and field service personnel can then access the data to identify wells that need attention. This remote monitoring and control will help producers prioritize maintenance work, reducing both travel and maintenance costs. Encourage digital field notes. Moving to digital notes will help stem the loss of experience as the old guard exits the workforce. Gen Z will be quick to embrace digital notes as the obvious choice in recording observations. The entire operation will benefit from the greater availability of information that this will afford. Increase the power of data. There is considerable cost to be saved by leveraging well data. The younger generations are intimately familiar with app-style user interfaces and will push automation vendors to present data in a manner that is most efficient for quick action. Dashboards and dynamic graphics, for example, can be highly useful in identifying exceptions. Automation systems will incorporate these highly visual techniques and make data available across a wide range of mobile devices. Streamline the diagnostic process. Watch for automation systems to become greater diagnostic tools, enabling pumpers to identify problems to the extent that field service has a better chance of arriving on-site with the proper parts. All too often days lapse when a technician is dispatched to verify a problem and must then wait for the proper part to perform a repair. Automation systems will not replace the need for field technicians but should help them be more efficient. Each generation brings with it new and interesting twists in how they work and are best leveraged. Gen Z will be the first generation that has been digital from the very beginning and they should fit well in the next generation digital oilfield. In the next article, we will look at Well Optix and the Internet of Things (IoT) where devices of all kinds are connected and coordinated.